An incredibly easy one bowl recipe for some of the best blueberry muffins you’ll ever eat! 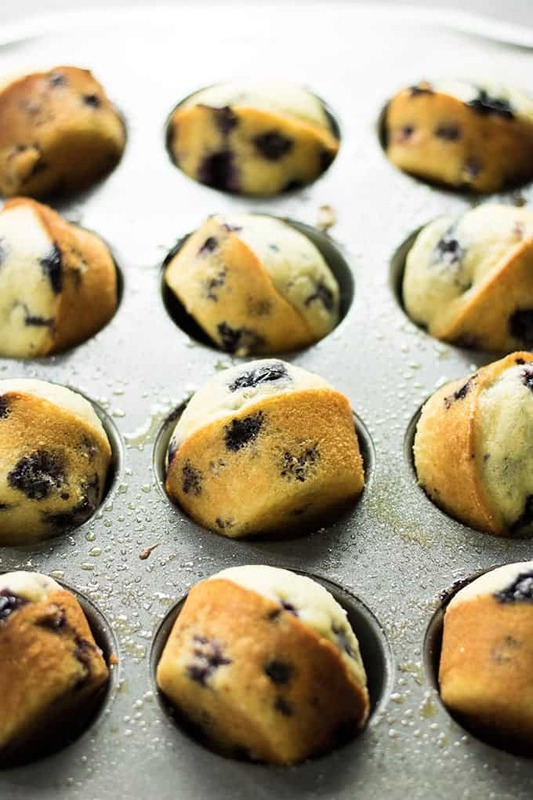 These muffins are tender, moist, loaded with blueberries, and ready to eat in a snap! Let me just start by saying this recipe was so NOT in the plans for this Thursday! I had something healthy to put up. But then, I was like scratch that because it’s been cold and dreary and rainy in my part of the world…..and I need some comfort food. I needed a mouthful of cozy sweet carbs! When I decided I needed muffins, I also decided I needed them pronto – and one bowl blueberry muffins came to my rescue. Ok, technically these are a one bowl muffin – one bowl and a measuring cup to be exact. One bowl for the dry ingredients…..then….. I whisk all of my wet ingredients together in a liquid measuring cup to save me from dragging out another bowl to wash.
Dishes are not my friend. I chowed down on two of these straight out of the oven. Still piping hot – just cool enough that I didn’t completely burn my fingertips off. With a big slather of butter. It was heaven, and I suggest you do the same. If you’re looking for other tasty muffins try my Cinnamon Sugar Donut Muffins, they’re a reader favorite as well as my Chocolate Cheesecake Swirl Muffins! An incredibly easy one bowl recipe for some of the best blueberry muffins you'll ever eat! 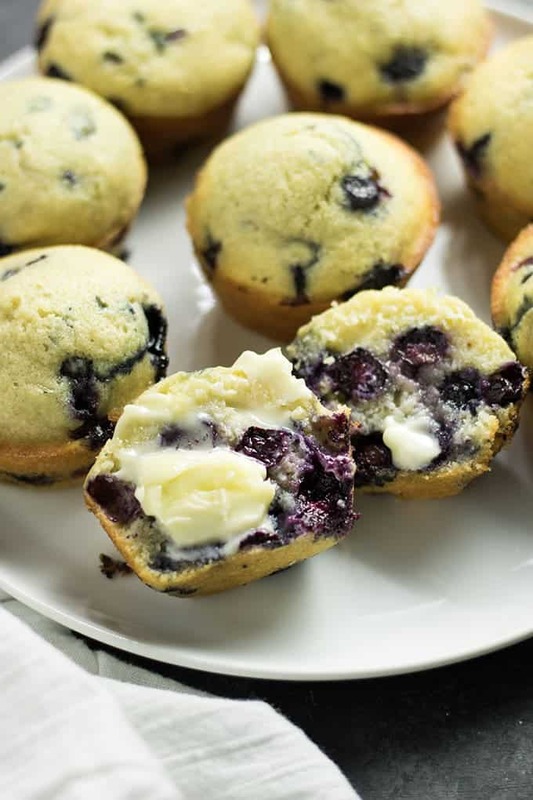 These muffins are tender, moist, loaded with blueberries, and ready to eat in a snap! Preheat oven to 375 degrees. Prepare a 12 cup muffin pan with non-stick cooking spray or paper liners, and set aside. Pour the wet ingredients into the dry ingredients and mix gently just until combined, being careful not to over mix. Fill the muffin cups up to the top with batter. Bake in preheated oven for 15-20 minutes, until slightly golden brown on the top and a toothpick inserted in the center of the muffins comes out clean. NOTE: Tossing your blueberries in flour to keep them from sinking is a myth, and an unnecessary step! 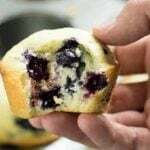 If you want more blueberries in the muffin top, simply add about 1 Tablespoon of plain muffin batter to the muffin cups first. 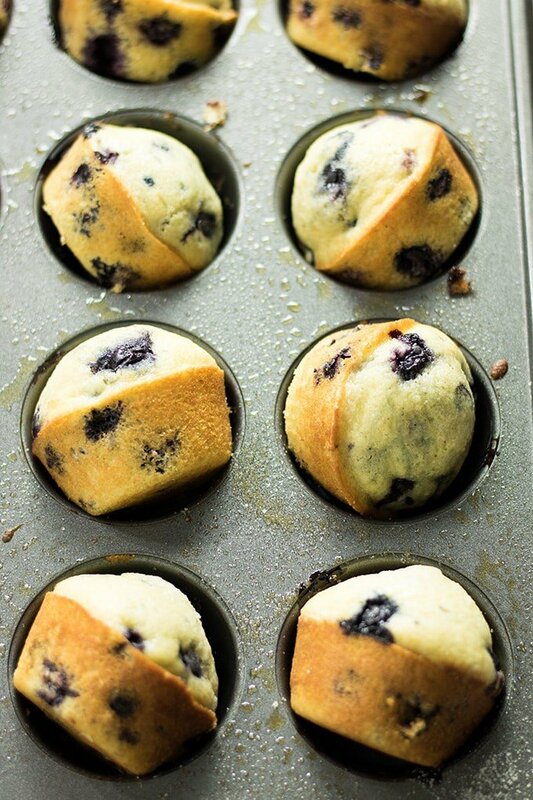 Then, fold the blueberries into the remaining batter and fill the muffin cups up the rest of the way. These muffins look SO good!! Such an amazing breakfast treat!! Would it taste the same without vanilla Or is there something I can substitute for it?? I may have posted comment before but I cannot get enough of these delicious muffins. Am a blueberry addict, always on lookout for my next “fix”. These muffins hit the right spot. The recipe is the ONLY recipe that I have taped to my kitchen cabinet door. I loved the recipe…made a double batch of what was in the ingredient list because I wanted to make banana bread also. So I portioned half for the blueberry cupcakes and witht he other half i added pecans and slivered almonds and two mashed bananas and got 2 mini banana loafs which were a hit amongst my bible study friends today. Another minor adjustment i did was using selfraising flour instead of all purpose flour and i added a teaspoon of baking soda. thank you for shating this easy recipe????? These blueberry muffins are the best I have ever made. I loved that they had a little crunch to the top! Easy to put together and delicious!? Just made these today, and they are really good. This recipe is wonderful. I used your tip and it works great. Thank you for allowing me to print this recipe! I subbed the butter for sour cream and they came out beautiful and delicious. Hard to not burn my tongue and let them cool out of the oven. Thanks for sharing- one bowl recipes are the best! I made this using raspberries and even my pickiest child loved it! Would it be okay to substitute milk for almond milk? These look amazing! I would recommend this one all the time.??? Just baked the blueberry muffin recipe. Just ate one tho hard not to eat more. It was delicious. Made just like the recipe read with a squirt of lemon added as someone suggested. So moist and full of blueberries. I did have to add 6 more minutes to the time but that can be due to oven temp differences. I saw the recipe and decided to use my fresh blueberries that was getting old. To my surprise, my muffin tin is for 24 and the recipe makes 12. I put the batter in my loaf pan and baked it in the convection oven as a bread. It made the best bread loaf and sliced very well. Great tasting recipe. I will definitely keep this recipe and purchase a 12- count muffin tin the next time I make it. The loaf pan took approximate 55 minutes. Super moist. Thank you for a superb recipe!! These are incredibly good. I just made them this afternoon. I added a dash of lemon juice to brighten up the blueberry flavor. 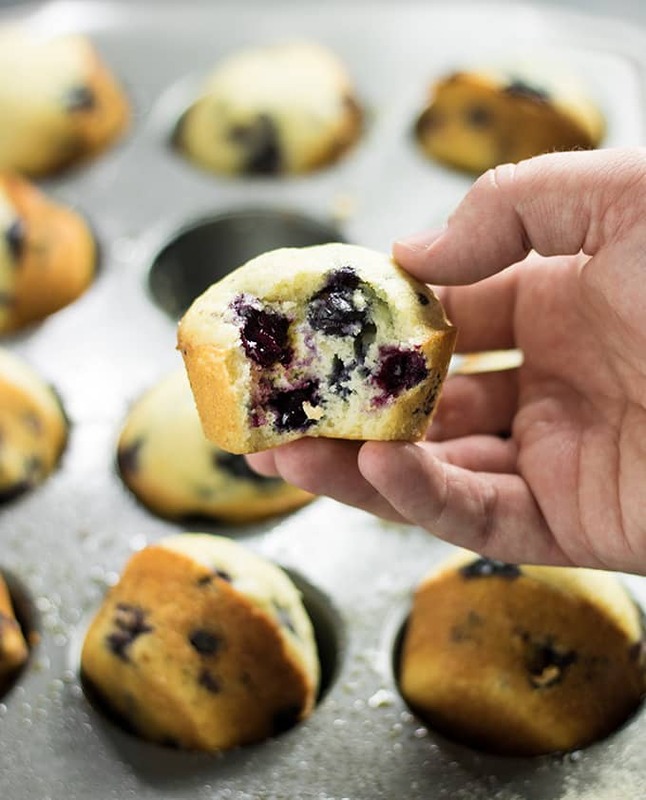 Muffin cup, then added the blueberries to the remaining mix. These are awesome!